Children’s picture books are all about igniting a child’s imagination. A good cover is what begins this process. It is the promise of adventure, excitement and humour. 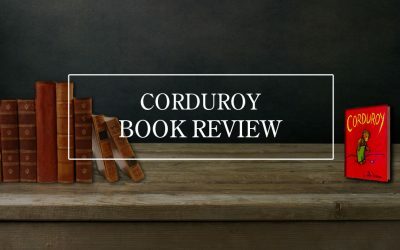 Like an amuse-bouche at a fine restaurant, the cover provides a glimpse of the literary feast to come, offers a hint at the writer’s skill, and prepares the reader for the journey ahead. Of course the same can be said for any book. 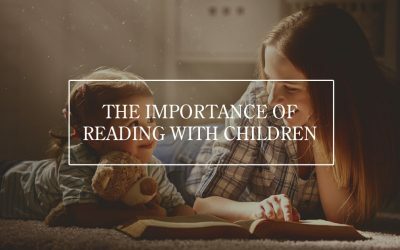 However it is particularly important for children’s picture books to be designed well, as there are additional consideration that must be understood: The cover must appease the criteria of two distinct demographics – the child and the adult. Of course, there are no real hard and fast rules and exceptions to these principles will exist. A good cover designer will often use ‘best-practice’ as a place to begin while letting experience dictate their path to the final product. In the end, a good cover design will inexplicably draw both the child and adult to it without the need for any further explanation. 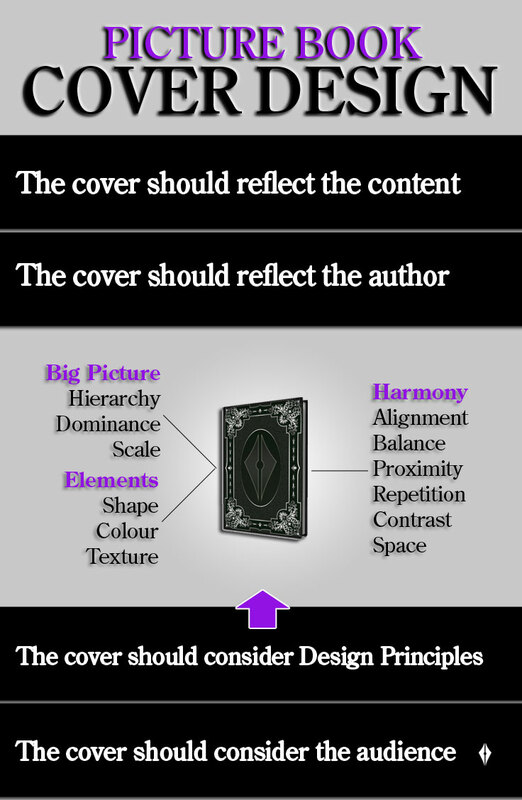 It should be pointed out that for publishers and authors looking to proceed with the design process of a cover, these principles are not listed as a DIY checklist. It would be rare indeed for someone without prerequisite skill and experience to design a high-quality cover. Sure, many covers have been designed by amateur designers and some of these books may have gone on to sell well. However it remains to be seen, how much further these books may have gone had they been designed by someone who was well versed in the subtleties of an attractive cover. In that spirit, what is offered below is a basic understanding of good cover design. Why is cover design still useful for Publishers and Authors? 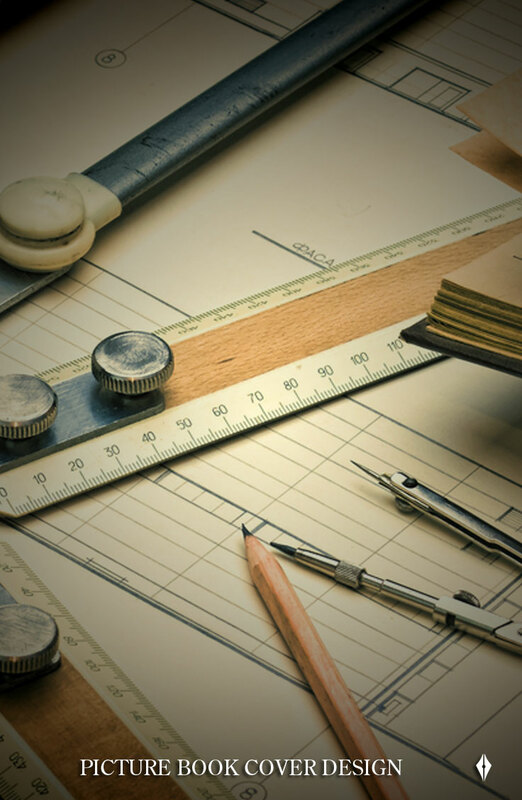 You are still part of the design equation, even if you aren’t physically designing the cover. A good designer will be able to create a cover that is relevant, follows proper design principles and has a connection with any cover trends. However, when it comes to appropriately reflecting your unique voice, style and story, you will need to offer direction. At the end of the day, the book being designed is also you’re book. Understand that there are design considerations, but make sure you are happy with it as well. It allows you to understand design decisions. Often an author can fall in love with a particular look or style of book cover. Yet from a design perspective it may not be suited to your genre, style or audience. If you understand this, you may be more inclined to accept the designer’s perspective or at the very least, consider their decisions from a design perspective, rather than whether you ‘like’ it or not. It allows you to provide a designer with a good brief. This is quite important for your own peace of mind as well as to hit the right balance when it comes to providing direction. By giving the designer a good understanding of the key themes in your book, the main characters, the mood you are looking to convey, the genre, audience and other books that strike your fancy, you provide them with some good tools to begin. An understanding of basic design also prevents you from trespassing into design territory by being overly directive with things like font placement, image use and colour schemes. One thing that should be noted is that most designers want you to be happy. If you provide too much directive input, you will probably end up utilising a designer for their ‘technical’ design skills only, without much creative development. Every genre has distinct cover-design subtleties that designers employ to evoke the appropriate emotional response. For example, the emotional response to the cover of a Thriller should be the anticipation of heart pounding action. Whereas the cover of a Mystery should convey a sense of intellectual thoughtfulness, subtlety and the anticipation of misty-eyed revelations. In order to for a designer to properly evoke these distinct emotional reactions, various elements on the cover must be utilised in different ways. For children’s picture books, these design subtleties are more often reflected by the tone of the narrative. Clean lines, a sensible font and realistic pictures will often convey the idea that the picture book carries a deeper meaning or seeks to sidestep humour as an emotional reaction. Minimalism will often project the idea that the writing itself (rather than the illustrations) carry the narrative, whereas this idea may be reversed for a cover containing highly detailed and comical creatures. The cover also needs to adhere to audience expectation. As a consequence of the design subtleties within each genre, readers have grown to associate these unique ‘looks’ with these genres. This essentially means, that publishers and authors must be clear on the audience they are looking to attract to the book. If a horror fiction has a cover that looks more like a period drama, readers of horror may not take a second glance at it, and fans of period drama who take a closer look, may be confused or repelled by its blurb. At the end of the day, cover design is not the place to show how ‘undefined’ the author is. This is especially true when it comes to children’s picture books. With that said, within each genre-specific design, there is still enormous scope for an author to make their unique mark. 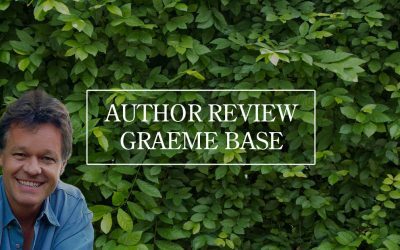 This is where the cover designer can emphasise certain aspects that are important to the author or to the book. For example the author of a Romance novel who feels its strength or unique character comes from its paranormal elements will want to convey this to the designer. Similarly, an author whose personality cannot tolerate mess or disharmony, may want to steer a designer away from abstract artwork, disproportionate hierarchies (see below), or purposefully conflicting moods. The end design product should be something that not only says something about the content, but also carries an identifiable character of the author. A great example of this can be found in children’s books that employ scrappy illustrations and text or utilises imagery that might be regarded as distasteful or disgusting to an adult. Such a design doesn’t just set the scene for the internal pages of the book, but speaks volumes of the author. In this case, that the author ‘understands’ some of the primal humours of a child, doesn’t take their writing too seriously and isn’t afraid of cheap laughs. On the other hand, imagery that tries to inject deeper meaning, well thought-out shadows and lighting or clean fonts will often paint the author as someone who takes their writing very seriously. Here is someone who is perhaps more interested in imparting to a child a slice of knowledge or wisdom that will contribute to their formation. There are no universally accepted design principles that all cover-designers will slavishly follow. Depending on the background of a designer’s education, discipline and unique journey, there will be aspects of design that they might consider indispensable, important or only useful to consider. What follows are some broad principles that all good designers will at the very least understand, and in most circumstances, will probably employ (even instinctually). The big picture is all about the aspects of design that transcend the simple creation and placement of elements. Whereas each element and its relationship to other elements (see below) offer an observer information, the big picture focuses on how that information should be understood. In what order do we digest the information? 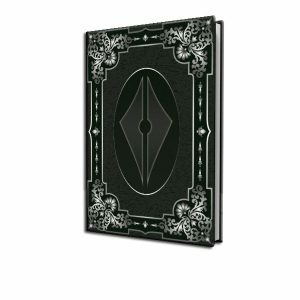 What aspects of the cover are important and what aspects only support this important information? Generally speaking, design elements and their placement come from a design perspective, whereas the big picture is more focused on the intended audience. One is focused on the transmission of ideas, the other on how those ideas are received. The big picture comprises of: Hierarchy; Dominance; and Scale. Hierarchy is one of the more important elements of design, because it lays out its very purpose. Hierarchy forces the designer to confront the questions: What is this design looking to achieve, and how do I utilise basic human response to lead them to that very specific call to action. Like a well written story, the hierarchy of a book cover takes the observer on an interesting and logical journey. Beginning with an element on the page designed to draw your attention, a well-considered hierarchy will lead your eyes in a pre-determined pattern intended to maximise its impact. This might be as simple as starting with a large picture of a person’s upward looking face. The large picture not only captures our attention, but as humans, we often find ourselves inexplicably drawn to the faces of others. As socially inquisitive creatures, we also tend to naturally follow their gaze. So, by following this persons eyes, we come to the books title. During this process, we peripherally notice that there is only one other line of text on the page. Being curious creatures, we glance down at this text in order to determine if it contains information relative to our interest. In this case, it happens to contain the author’s name. In the above example, the cover contained a three-part hierarchy: the image, the title and the author’s name. However book covers can have any number of hierarchical elements, and in some cases are even designed so that you revisit certain parts. For example, if we noticed a book cover of a wolf howling at the moon. We might look first at the wolf, then the moon and then the title. But if the title was, say, ‘The Wounded Wolf’. We will want to look back at the wolf to determine whether or not he is carrying an injury. When it comes to children’s books, hierarchy becomes a little more complex. As we have already mentioned, a children’s picture book must attract both the adult and the child. This means that there is often two simultaneous hierarchies woven into the design. For the child, this might begin with a book’s contrast (see below) to other books surrounding it. This might then be followed by the main illustration and ends with the illustrative details. For a parent, the process might be a cursory glance at the illustration, a longer read of the title, and an even longer consideration of the author (what other books have they written, and were they appropriate). Dominance can sometimes be considered a subset of Hierarchy, but it doesn’t have to be. Dominance simply means that an element or group of elements stand out in comparison to others. This could be because of its size, colour, shade, position or even type of imagery. Generally speaking, the more dominant elements are higher in the hierarchy because our eye is drawn to them first. However, dominance may occur within an element as well. For instance, a cover might be designed in a simple three-part hierarchy like we mentioned above, yet within the illustration, there are shadows, shapes and colours that emphasise certain objects over others. This type of dominance can be used to highlight significant aspects of an illustration, while receding objects of less significance into the background. Dominance in children’s book covers can be quite important, particularly for children. Simple or minimalist covers will often embed dominance in the illustration, contrasting it to the white space around it. For more complex designs, there will often be a point of focus within the illustration, achieved through the use of dominance. Scale is simply how large or small an object is in relation to other objects. It is another ‘big-picture’ principle that is often considered to be a subset of hierarchy. Like Dominance, it can be utilised to draw the eye – particularly if an element is disproportionate to an observer’s expectation. Yet scale is also one of the most difficult aspects to get right. An incorrectly scaled element can disrupt the intended hierarchy, create unintended disharmony, or make a cover difficult to read. A common scale problem can be observed in the online world of book sales. When visitors to an online retailer are perusing books, it will generally be in thumbnail form. A simple but effective test to determine whether the elements of a book cover have been properly scaled, is to reduce its size. If the intended hierarchy is not compromised, and the most important elements remain clear, the scale is probably about right. The elements of design are essentially the visual options available to a designer in order to convey a single idea. Elements generally consist of: Shape; Colour; and Texture. At its most basic level, an element is the logical reduction of an object to the representation of a single idea. This single idea will always incorporate some type of shape. For example, a photograph of a person sitting on the beach will contain multiple elements, all made up of shapes. Broadly speaking, this might be: the person; their shadow; the sand; the waves; and the sky. Yet we may be able to break these elements down into further shapes. For instance, there may be distinguishable elements on the person, like a hat, a shirt, even going as far as considering each perceptible component that makes up their body as a separate element. Shapes are not just confined to photographs or illustrations. Each letter on the page represents a single idea. Grouped together, they form words (which also represents a single idea). These can all be considered as design elements, yet all of them will consist of a shape that has an understood boundary. Shapes form the foundation of an element and contribute significantly to the emotional response being elicited – what is generally described as the ‘Mood’ from a design perspective. The colour of an element is just as important as its shape when it comes to Mood. Humans are preconditioned to associate colours (and combinations of colours) with certain ideas, and various cultures have built upon this association. When it comes to children’s picture book cover design, colour needs to be considered carefully. Over the last few decades, it had become somewhat of a trend to throw a confusing array of hyper-coloured elements at the cover in the belief that this was somehow more attractive to children, or that it better aided in their development. Thankfully this idea is slowly being replaced with an understanding that colour theory should also apply to children’s picture books, and that natural colours may in fact do more for their formation. Texture relies on an observer’s interaction with real-life objects, and seeks to elicit a cognitive connection with the way certain objects feel with how an element is perceived to feel. For example, through the interaction of shapes and colour, the element of a duckling might be perceived as fluffy or wet. Any textual element might be perceived as feeling like cold, hard metal, or being light and bubbly. Texture is a great way of reinforcing the mood of a cover and creating depth to an element. The relationship of elements directly relates to their arrangement on a cover. Good design focuses on achieving the right relationship between distinct elements, which is otherwise known as Harmony. Harmony is achieved through: Alignment; Balance; Proximity; Repetition; Contrast; and Space. Alignment is often the first thing that gives away an amateur designer. It creates an order between different elements and groups together ideas. When it is done well, it is often not noticed. However if alignment is out, even the least design-minded person may intuitively feel that something is not quite right. Simply put, alignment is the vertical, horizontal and/or diagonal connection that one element has to another. A simple to understand example is that of the ‘vertical centre-alignment’. Often (but not always), the title of the book and the author text will both be aligned to an invisible centre line that runs vertically down the cover. This means that the very centre of the text will be placed somewhere on that line. Alignment isn’t just relative to its position on the cover though – it also relates to individual elements. For instance, on a children’s book, there may be an author and an illustrator. Both of these names may be placed at the lower end of the book cover and both may sit equal distance from the vertical centre line. However the design might also require that these names are horizontally aligned with each other by the top-most part of the text. If this is out by even a little, it may cause aesthetic discomfort to any observer. Balance can contribute significantly to the aesthetic value of a book cover through symmetrical or asymmetrical design. One way to understand balance, is to appreciate that every element has a weight value. So, larger, darker, more complex and/or grouped elements have a higher weight than smaller, lighter, simple and/or isolated elements. Distances objects are from a central point (both real and perceived) will also have a bearing on an elements weight value. When a book cover is striving for symmetry, weight should be evenly distributed around one or more central points. If there is a desire to emphasise a design feature or to provoke a certain reaction from an observer, asymmetry might be utilised. Proximity is the technical design term, but ‘Association’ would probably be more descriptive of this principle. Proximity relates to the connection one element has to another. So, a series title, book title and sub-title might all be grouped together and utilise the same font and colour. This ‘Proximity’ tells the observer that these distinct elements have an association with each other – in this case, they are describing the book. However, the author name might also share these characteristics yet be placed in a more distant location. The fact that it utilises the same font and colour, also gives it a ‘positive proximity’. Repetition contributes to harmony in a number of ways. In the same way that proximity connects one element to another, repetition connects the entire design. By using the same shapes, colours and textures throughout a design a connection is built and the cover suddenly has coherence. Contrast builds upon what we already know about the relationship one element has with another. In this case, it is the deliberate manipulation of each element to give them a ‘negative proximity’. This is usually achieved by setting the values of each element at opposite ends of design scale. So for instance: one element might be light the other dark; one might be small, the other large; one might utilise subtle design features, the other might employ bold ones. In the end, the result will usually to heighten the importance of one element and to lessen the importance of another. What makes contrast so powerful is that it can lift an otherwise good design, and make it ‘pop’. Space can refer to ‘positive space’ (the area on a cover that is filled by an element), or to ‘negative space’ (generally considered to be the area between all elements). A good use of negative space is another aspect of design that separates amateurs from professionals. It shows restraint and an appreciation of simplicity. The overall use of space should be determined by asking one important question: How can I reduce the complexity of all the elements and their relationships into a cover that still comprehensively achieves its purpose. Put another way: Are there any superfluous elements or design features? An emphasis on space is a key element of minimalist children’s picture books, although this principle applies just as equally to full bleed covers that incorporate complex designs. This is our final design consideration. Right up to this point, if the book reflects the content, the author and adheres to basic design principles, the book is probably in fairly good shape to appeal to its intended audience. However sometimes that deeper understanding of a book’s intended demographic can make all the difference in design. For instance, are there any specific trends, circumstances or events occurring within the sphere of influence that surrounds your audience? Are there subtle differences between lovers of folklore in Ireland and Australia? It certainly isn’t uncommon for publishers to commission different cover designs entirely for books being released in different countries. 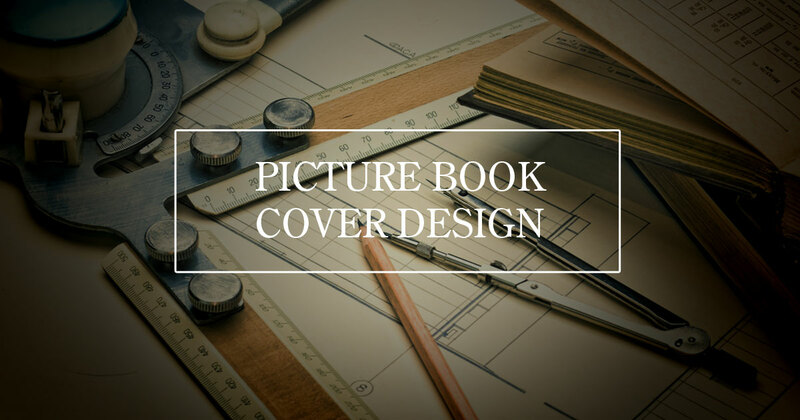 While this may not always be necessary, it still pays to narrow your audience as best you can, so that you can offer to them a book cover that right away makes them smile – whether it’s the excited child or the paying adult. When all is said and done, the purpose of a good children’s picture book cover is to try and distil the beauty of its narrative into a spread that attracts the intended audience. It is important to get right, because there are far too many terrible books out there with professionally designed covers. You are only putting yourself at a disadvantage if you have a good book covered by a bad design. So, take some time to understand good cover design, put together a solid design brief and allow a designer to inject their expertise into it. I think I can speak for many children (and, yes even adults) who know the joy of sitting on a library floor, flicking through a treasure trove of picture books – hoping, anticipating that next exciting cover that just screams, read me!